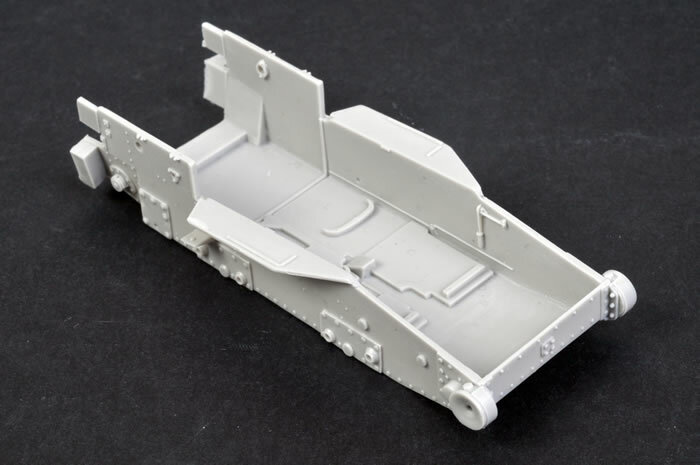 Home > Reviews > Axis > Model Victoria Kit No. 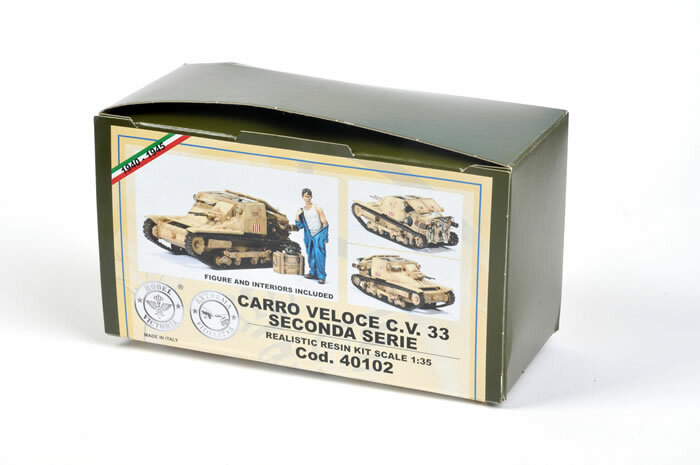 40102 - Carro Veloce C.V.33. 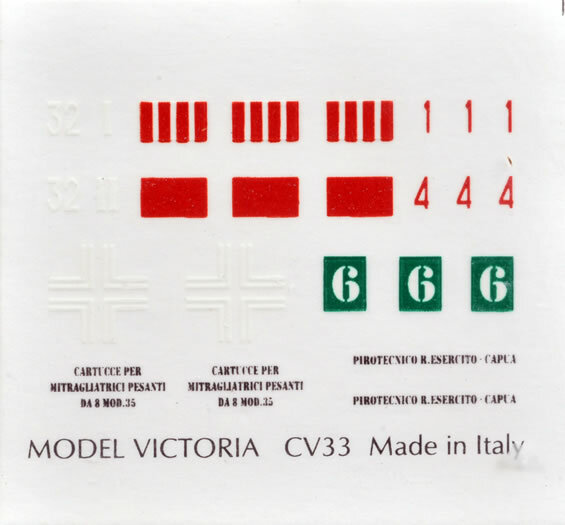 Stock Number and Description Model Victoria Kit No. 40102 - Carro Veloce C.V.33. 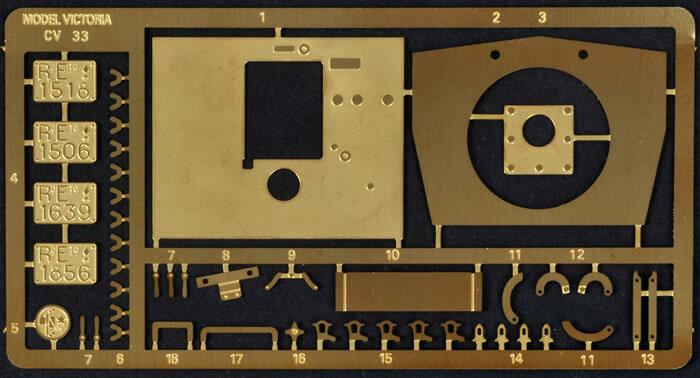 Media and Contents: 100 resin pieces, photo-etched fret, decal sheet. Advantages: Superb detail; beautiful quality casting; full interior and engine supplied; includes excellent figure. Recommendation: If you want the best kit available of this vehicle available in any scale today then the Model Victoria kit is the one to get. The C.V.33 was an Italian development of the Vickers Lloyd Mk.VI tankette. This small tankette was widely exported but proved little more than cannon fodder when placed against any worthwhile opposition. 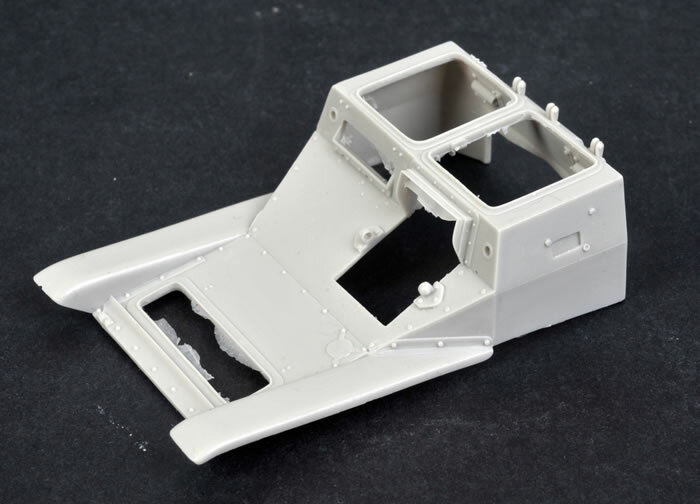 This new 1:35 scale full resin kit from Model Victoria comes in a flimsy green box with a photo of a very well built and painted model adorning the box top lid. The kit comprises of around 100 finely cast resin pieces, a decal sheet and a medium sized photo-etched fret. 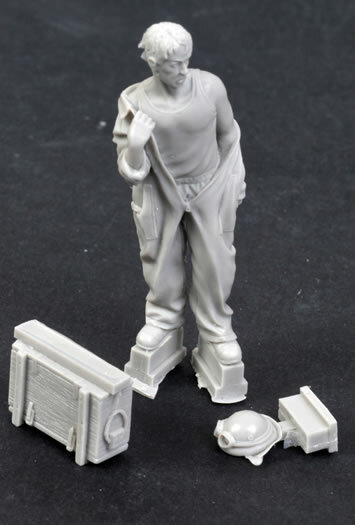 The kit also comes with an outstanding figure in a not-often-seen pose of putting on his coveralls. The colour four page instructions are noteworthy, as they are both simple and easy to follow. I believe other manufacturers should copy this logical approach - it’s almost foolproof. The kit is broken down into a lower tub into which all the interior fittings (and I do mean all) are placed. 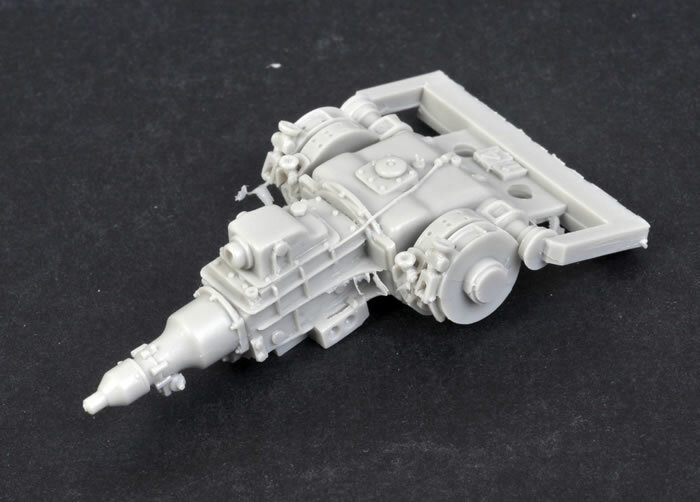 The level of detail on all these internal fittings is astounding; the transmission case for example is a thing of beauty, with almost all the detail found on the real thing translated down to a few resin pieces. The running gear is very well done, with the tracks in particular being almost bullet proof. 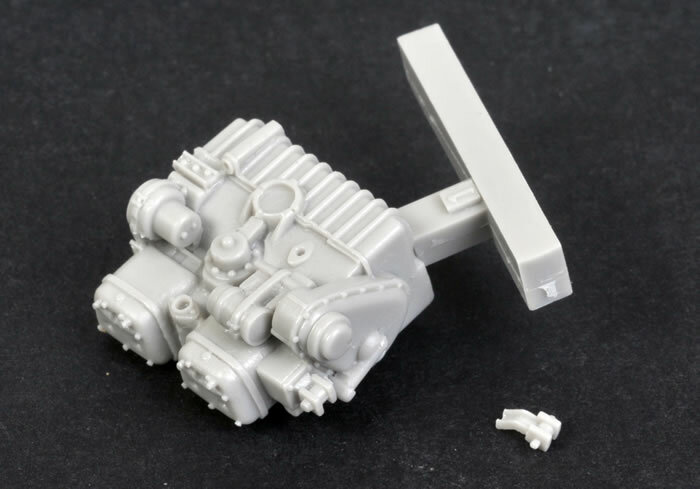 The end connectors have a shallow track pin depression on each link that are both very accurate and not often seen in a model of this diminutive size. The tracks themselves are presented in various lengths and although I not a huge fan of this approach, the system works very well on this particular vehicle. Comparisons with the Bronco kit of this very same vehicle are inevitable and quite frankly justifiable. On the one hand, the Bronco kit is around half the price of the Model Victoria offering, and has a full interior. 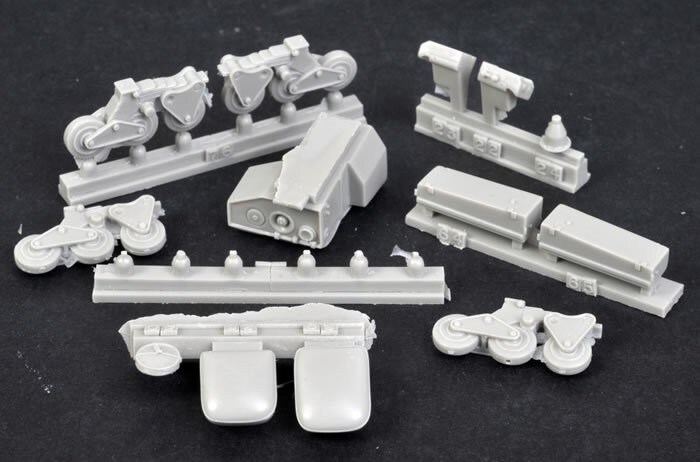 The Model Victoria kit has more (and in most cases better) detail. 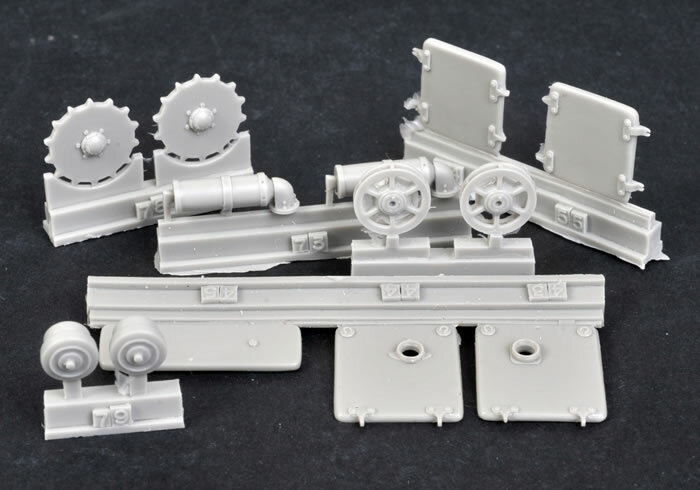 The tracks on the Model Victoria, for example, are very much better than the Bronco kit (not that they are bad on the Bronco by a wide margin). I guess it all comes down to what you want or, more importantly what you perceive. A lot of people for example buy a BMW because they perceive it to be better brand than say an Opel. Are they correct? They both get you from A to B. Depends on your perception, I guess. 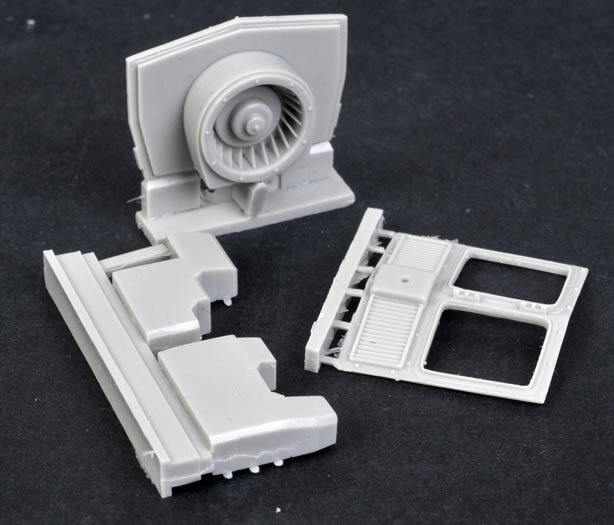 A lot of modellers have asked me over the years, who does the most accurate resin casting? My answer is always the same. Model Victoria. If you want the best kit available of this vehicle available in any scale today then the Model Victoria kit is the one to get. It’s that simple.